The process begins with carrying out a comprehensive site survey which allows us to obtain a thorough understanding of your compressed air requirements. 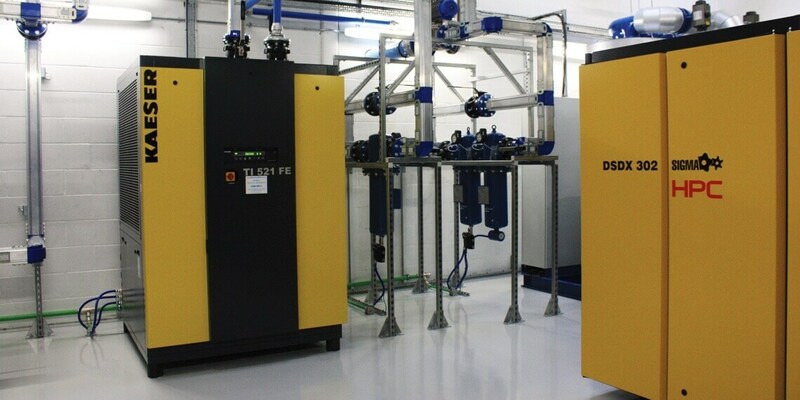 We have many years of experience in the design and build of energy efficient compressed air systems, providing you with a bespoke solution to your compressed air requirements. We understand that every project has individual and specific requirements, which is why we will work closely with you throughout the design process to ensure that you will be getting not only the most effective solution but also the most energy efficient. Considering your requirements, we will submit a system proposal detailing technical information of machinery, ancillary equipment and pipework along with a projected project installation time-scale. Once a proposal is approved by you, it is over to our team of experienced and fully trained installation engineers who, being led by the service manager will install and commission your compressed air system in line with the British Compressed Air Society’s ‘best practice’, HSE legislation and Pressure Systems Safety Regulations 2000. Health and safety is paramount throughout the installation process, an area we take very seriously and as such is reflected our SafeContractor accreditation. Following the installation process, we offer services such as pressure system management documentation including as built drawings, written scheme of examination and recording documentation for modification and inspection of the system. To organise a site visit, or discuss your compressed air requirements, contact one of our team.